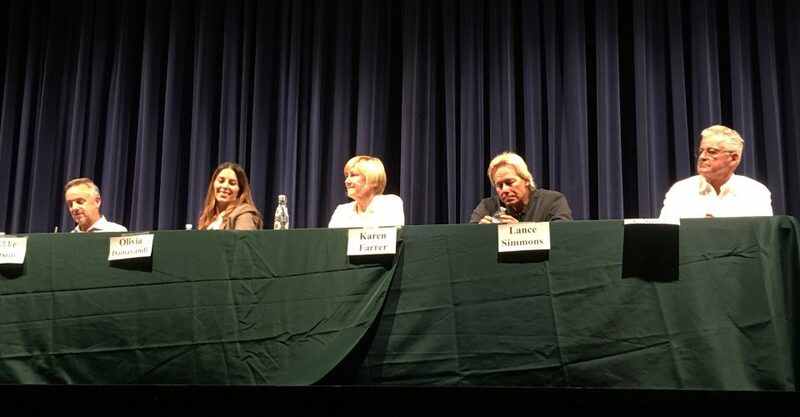 The five candidates for Malibu City Council answered questions about homelessness, Measure M and youth in politics at Malibu High’s first Town Hall Forum on Thursday, Oct. 11. 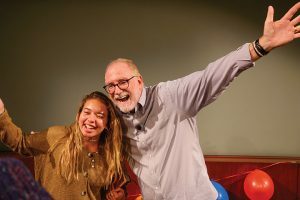 President of Community Involvement Club and Malibu High senior Collette Aldrich and Youth Commission representative and Malibu High senior Jessica Ford launched and facilitated the forum as a way to get their peers to participate in the current election. 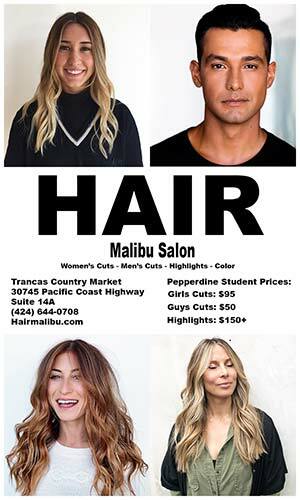 Malibu residents will be voting in three weeks, on Nov. 6, to fill the seats of council members Lauren Rosenthal and Lou La Monte as they are termed out of office this fall. 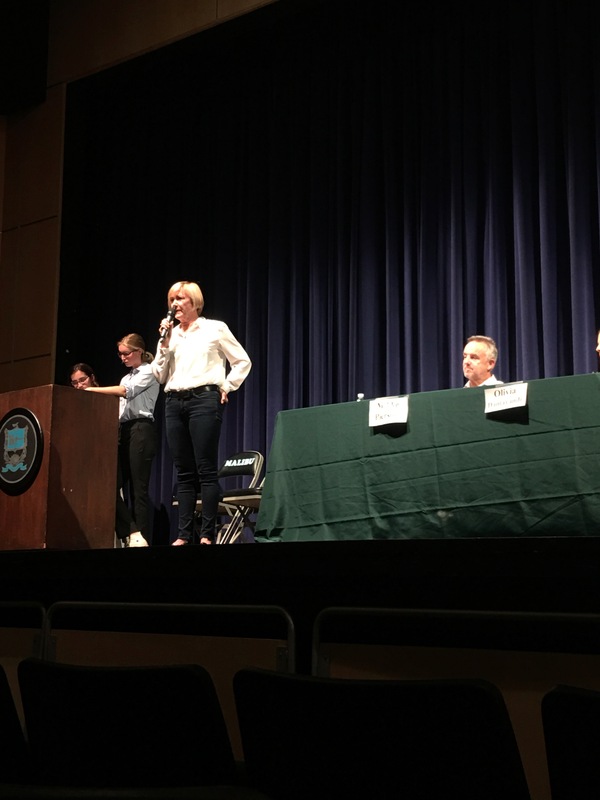 The five candidates running for office shared their diverse backgrounds at the forum. Mikke Pierson served on the City of Malibu’s Planning Commission and is currently a small business coach. Olivia Damavandi was a former editor and writer with The Malibu Times and served as the City of Malibu’s media information officer. Karen Farrer was a parent on the Malibu High School Board and local activist. Lance Simmens has 40 years of political work serving under former presidents Jimmy Carter and Bill Clinton and served on the Adamson House Board. Jim Palmer served on the city’s public works commission and owns a local vineyard. All five candidates spoke highly of the student-run event. Farrer agreed that the students were professional and engaged during the event. 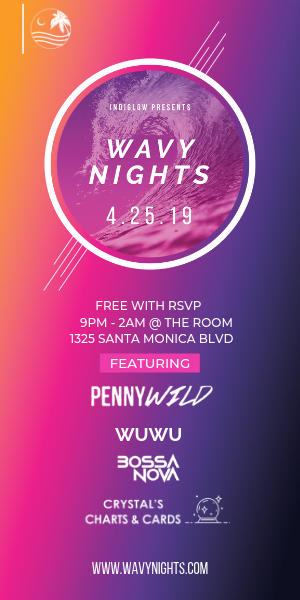 Damavandi said this event was special to her because she was once a student at Malibu High and now she is a parent raising her own kids there. Pierson agreed that having the youth run the event was exciting. 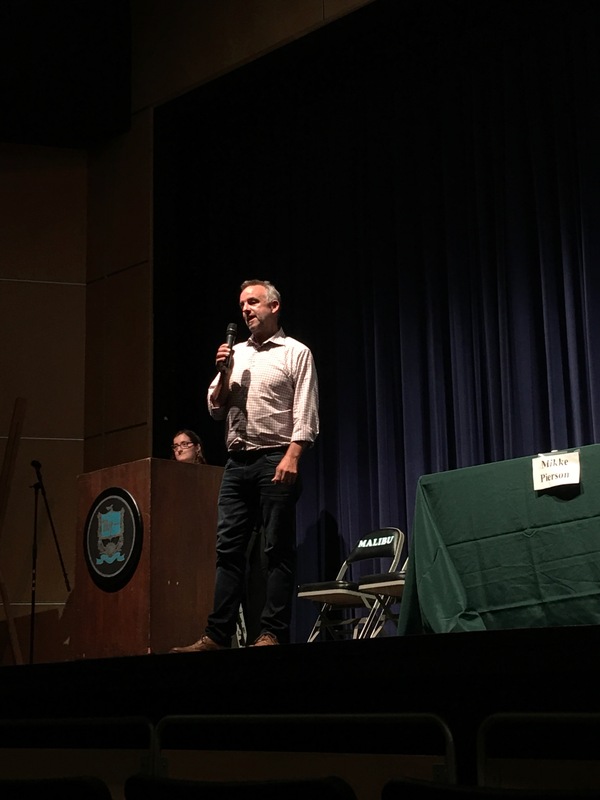 Aldrich and Ford asked the candidates questions concerning prominent topics in Malibu such as homelessness, Measure M and young people in politics. The candidates had two minutes to answer each question with 30 seconds at the end to revisit any question. The hosts then invited members of the audience to ask the candidates their own questions. 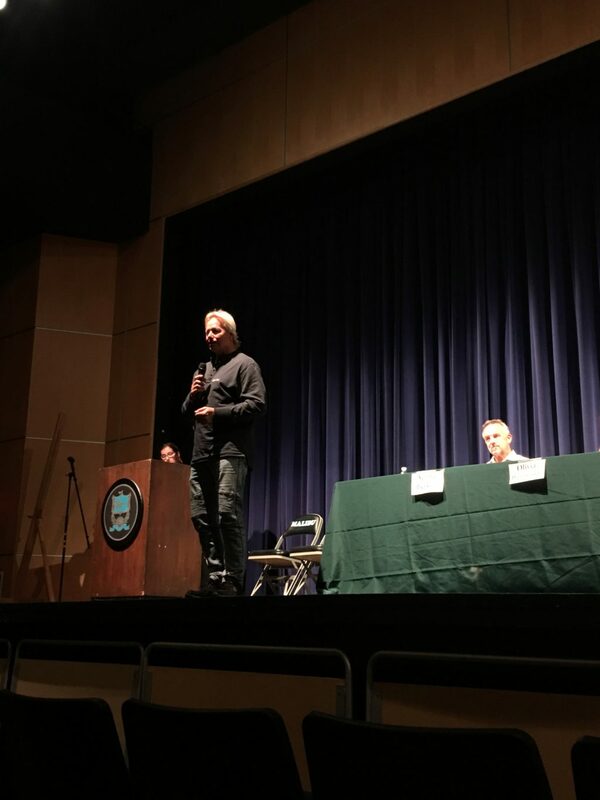 Aldrich questioned the candidates on their stance on homelessness in Malibu and the measures they would take to resolve it. Each candidate had different approaches to the issue. Pierson discussed the City of Malibu’s outreach team, which he said housed 40 people in Malibu into traditional housing. Palmer also touched on the outreach program, but said Malibu must start with policies. Damavandi said these programs are wonderful, but she would dissect these initiatives and see how much they actually help. Farrer said her approach to the issue is compassion first. She spoke of a need for services for the homeless, such as job opportunities and helping those who can be reconnected with family. Simmens also discussed programming for the homeless community. Measure M is a current mandate on the ballot that would provide two separate school facilities improvement bonds for Santa Monica and Malibu, according to an article in The Malibu Times. The Malibu School District would be separate from the Santa Monica School District. 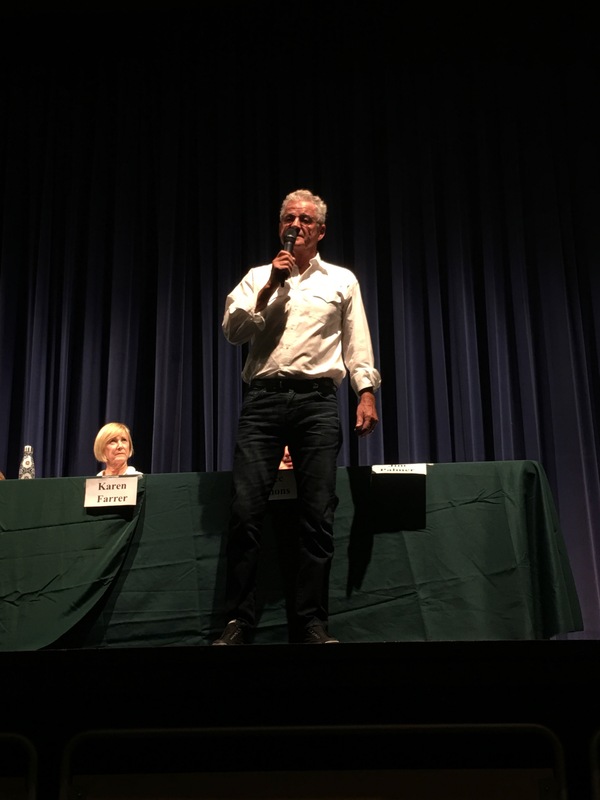 All five candidates said they were in great support of Measure M. Farrer, who is on the Measure M Committee, said this is extremely important in building up the local school system. 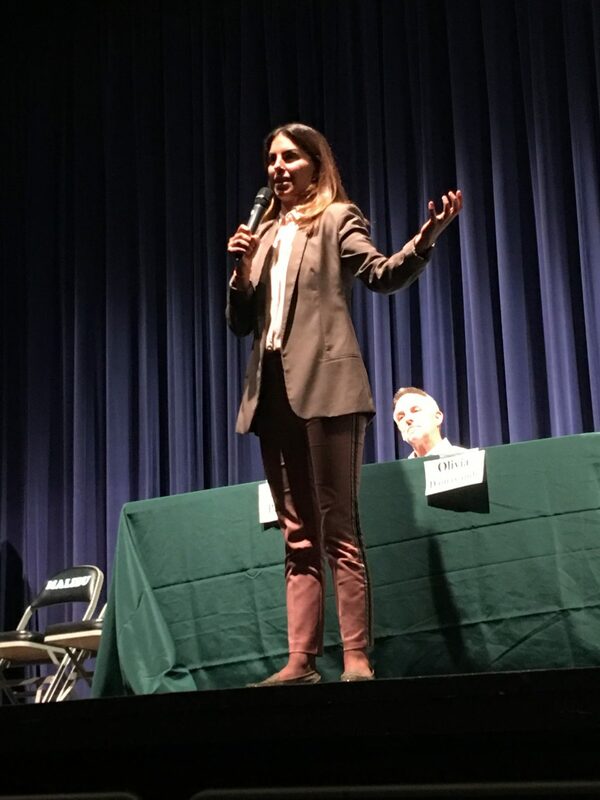 Damavandi said she wished there was a Measure M when she was a student at Malibu High, especially regarding the lack of funding for recreational venues for students. Simmens also touched on giving the youth long-awaited recreational spaces such as a baseball field or skate park. Palmer also encouraged the crowd to vote for Measure M and get a start on an improved school system. Pierson said that even for those who are not involved in the school system, Measure M would help the entire community. All candidates shared one underlying message: To vote is to use one’s voice on the issues and projects they care about. Students must stand up for their future or else they will lose the opportunity to make a change. Malibu High sophomore Frankie Cloete, who is not yet old enough to vote this Nov. 6, attended the forum. 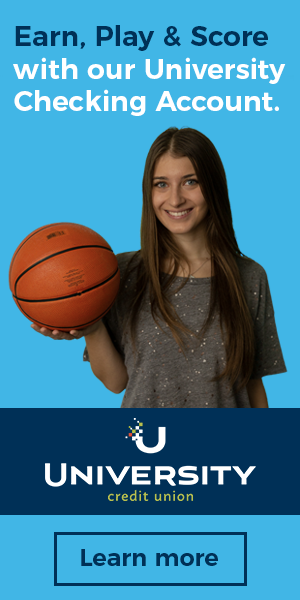 She said it is crucial for students of all ages to be informed.